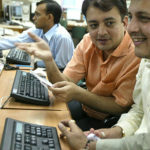 Kshitij Anand of ET has spoken to leading stock market experts like Mahesh Patil, Sandeep Tandon , Nitasha Shankar, Sharmila Joshi, Yes Securities, GEPL Capital etc and collated their best stock ideas. In the midcap space, companies such as Motherson Sumi Systems have done well both in terms of their organic growth as well as the inorganic growth. In fact, they have grown very well in the export markets. So, whenever there is a turnaround in the domestic auto industry that would just add on to the growth that they are already seeing in these markets, and despite the fact that some of them have even gone ahead and acquired companies. Motherson Sumi has been creating wealth for its shareholders quite consistently. Another space, which looks very attractive even now despite the fact that the monsoon data is yet to come in is the agri space, and to that extent we have companies like PI Industries and Coromandel International who have delivered growth year on year. In fact, even in the current year, which has been rather subdued for the other companies, both the companies have delivered excellent returns, excellent growth in terms of both their sales as well as their profitability and they have a very good business. Textile stocks have been a huge wealth destroyer over the past 10 years, but if you look at select stocks, select stocks such as Page Industries or Kitex Garments, they have actually been multi-baggers. In fact, if you look at Page Industry the way this stock has panned out over the past five years, the stock has been consistently giving returns both in terms of capital appreciation as well as dividends. A steady flow of dividends makes this space so strong because they have two brands under their belt and both the brands have been doing very well. The company has excellent plans for its future. Their returns on equity have always been very strong so those are the kind of stocks to pick in the textile space and if one is invested over there, they could see returns continuing to accrue over a longer period of time. NBCC has a very good sort of guidance, the company is talking of 30,000 crore kind of order book. Once again in the quarter performance of NBCC, there was a bit of disappointment due to its margin shrink, but going forward it is going to be their project management consultancy business that is going to yield over 80 per cent of their revenues. They are looking at redevelopment of lot of government properties. In fact, the management indicated that the cabinet note for that has already been given, three projects that they are looking at have already been put up. I would have a target of Rs 1,000 on NBCC. Kitex Garments Ltd (KGL) is a Kochi based company, which manufactures and exports infant garments. It derives 85 per cent of its revenues from sale of infant garments and remaining 15 per cent of its revenues by selling fabric to its unlisted firm Kitex Childrenswear Ltd (KCL). KGL is now eyeing for its next phase of growth by acquiring licenses of few private labels in the US and also through launching of its own brand in the US. KGL has outlined minimal capital expenditures of Rs 100 to Rs 150 million every year for the next three years as major capital expenditure of Rs 750 million was undertaken in FY14 to replace the old machines with new ones. At CMP, KGL is trading at 16.1x its FY18E EPS of 56.8, which is at an attractive valuation. With 25 per cent sales and 40 per cent PAT CAGR (FY15- FY18E), debt free status by FY18E, strong margin improvement, we expect the stock to trade at 30X (0.75X PEG) its FY18E EPS of 56.8. 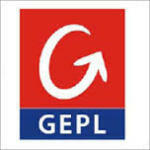 GEPL assigns a BUY rating on the stock with a price target of Rs 1,705 in next three years, which is more than 87 per cent upside from current levels. Tata Elxsi is not a traditional IT company such as TCS and Infosys. It is a niche player focusing on two key service areas. 1. Software Development and Services (92 per cent of FY15 cons revenues) and 2) System Integration and Support Services (eight per cent of FY15 consolidated revenues). Consolidated revenues have grown at a CAGR of 17 per cent in last three years to 8.5 billion. We expect it to grow at a 28 per cent CAGR to Rs 18 billion in next three years looking at the massive opportunity available in the business verticals. Tata Elxsi is a debt free company with return on equity of more than 35 per cent in FY15. With sales expected to grow at 28 per cent CAGR in next three years with strong margin improvements we expect return on equity to increase to 45 per cent plus by FY18E. Given the niche business model, debt free status with strong growth drivers in next three years, GEPL expects sales to grow at 28 per cent CAGR and PAT at 38 per cent CAGR (FY15-FY18E) thereby commanding a premium PE multiple of 25X (0.7X PEG) its FY18E EPS, which gives a target price of Rs 2,167 in next three years. Kovai Medical Center and Hospital (KMCH) is a 750-bedded multi-disciplinary advanced super speciality hospital in the Coimbatore city. KMCH has over 150 internationally renowned full time specialists and over 250 post graduate medical professionals assisting them. KMCH is the only hospital in Coimbatore city to perform heart and liver transplants. KMCH is growing phenomenally for the last 10 years. Sales have grown at 21 per cent CAGR from Rs 583 million to Rs 4,016 million in FY15. 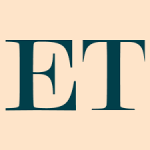 EBITDA have grown even better at 26 per cent CAGR from Rs 95 million to Rs 943 million in FY15. PAT has outpaced at 26 per cent CAGR from Rs 39 million to Rs 387 million in 2015. With sales CAGR of 24 per cent and PAT CAGR of 31 per cent FY15-FY18E, reduction in debt to equity to 0.5X, improving interest coverage ratio to 6X, strong return on equity of 32.5 per cent by FY18E. GEPL expects stock to trade at 14X its FY18EPS, which gives a target price of Rs 1,118 in next three years. Wabco India is the market leader in supply of air and air-assisted brake systems for truck and buses and has almost all manufacturers such as Tata Motors, Ashok Leyland, Mahindra and Volvo as its clients. Wabco Holdings Inc. is the industry leader in ABS and has sold more than 17 million ABS worldwide. Currently Wabco India’s content per vehicle is $300 while that of its parent subsidiaries in America stands at $1,000, Brazil is at $1,500 and it is $3,000 for Europe. With new government mandate on ABS and industry leader worldwide, increasing content per vehicle and strong exports growth, GEPL expects the company to post strong earnings growth in next three years (Sales, EBITDA, PAT CAGR of 33 per cent, 41 per cent, 47 per cent between FY15-FY18E). They expect the company to command premium valuations and trade at 52X (1.1X PEG) its FY18E EPS thus giving a target price of Rs 10,474 in next three years. Repro India is a provider of content, print and fulfillment solutions to publishers, corporates, education institutions and governments. Company has taken two new initiatives in order to accelerate growth in the next few years. The company has created a customized solution called RAPPLES (Repro Applied Learning Solutions) which offers 360 degree multi-sensory learning experience with pre-loaded textbooks delivered on tablets. 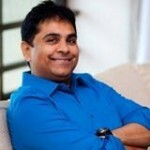 This company has invested Rs 220 million in last two years in RAPPLES. For Publishers, this will help to create, store digitally, produce and reach their books to millions of children and for students, they will have a ‘bagless’ learning experience with the benefits of multimedia and interactions. Company has also invested Rs 30 million in FY15 for the e-tailing opportunity.